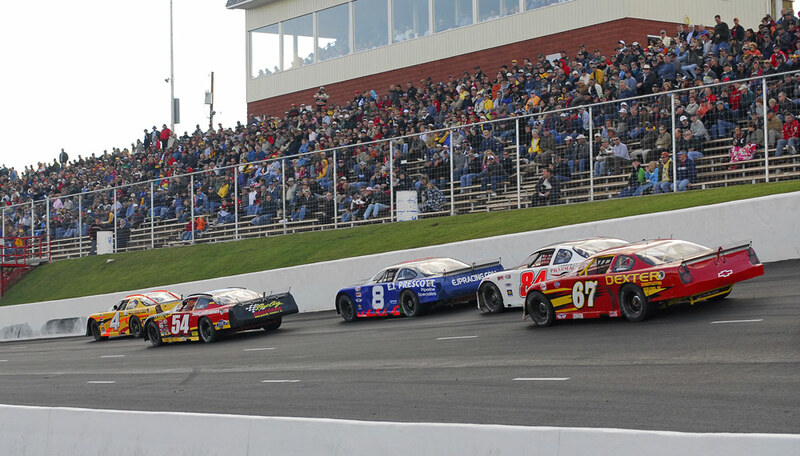 Quick Report: A great time with Kyle at the SOBO Meltdown. Ninth fastest in time trials. A win in the first heat for 9th on the starting grid. At the green, a run to the front spoiled first by a flat front tire. Then coming up thru the pack to the front again when the motor failed. (November 11, 2006 - West Boylston, MA) Derek Ramstrom of W. Boylston, MA, the newly crowned PASS Outlaw Late Model Series 2006 Champion, was looking forward to driving the newly acquired #35 Super Late Model car in the Mason Dixon Meltdown at South Boston Speedway in South Boston, VA on November 24  25th. However, there was one problem that needed to be overcome before this trip south could be finalized. Derek is still recovering from the broken arm he received during Championship Weekend at Unity Raceway, and the team needed a driver. Fortunately, through the efforts of Steve Perry and team owner Rick Ramstrom, NASCAR Nextel Cup Series driver Kyle Busch will be in the seat at South Boston. 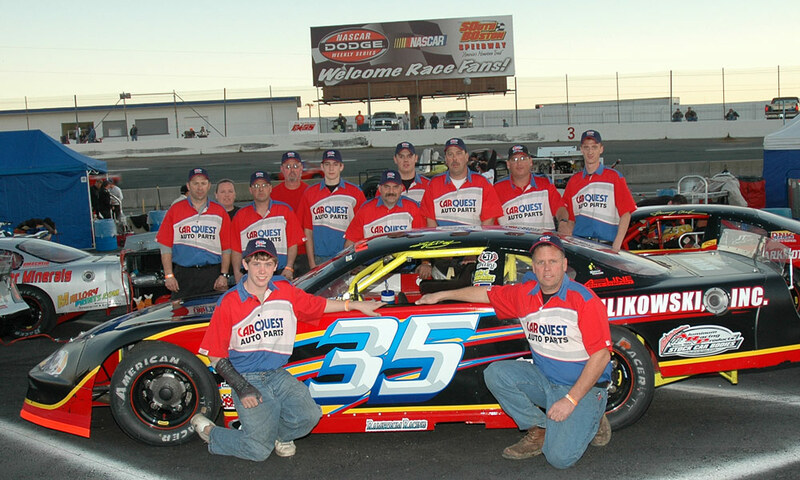 The entire #35 team will be supporting Kyles run in the Thanksgiving weekend 250-lap event. 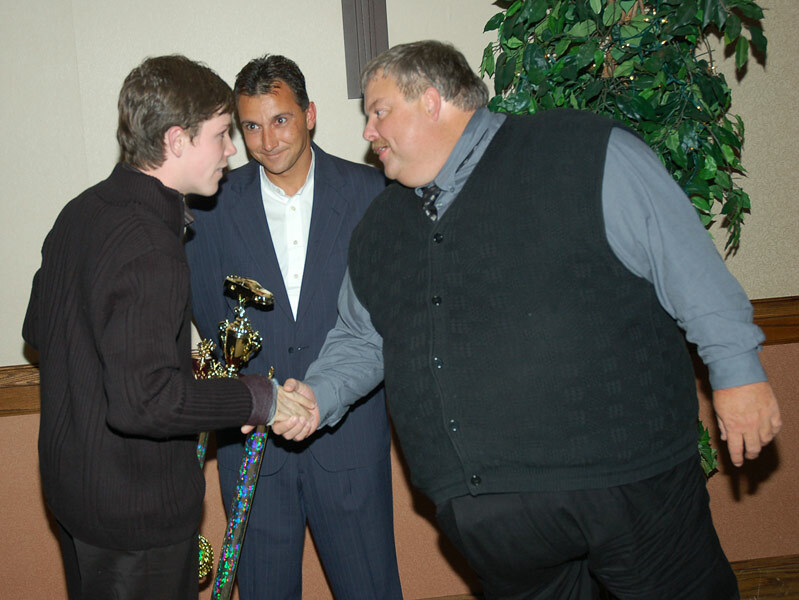 PASS BANQUET - NOV. 3RD. PASS Outlaw Late Model divisions. PASS Outlaw Late Model 2006 Combo Overall Champion! 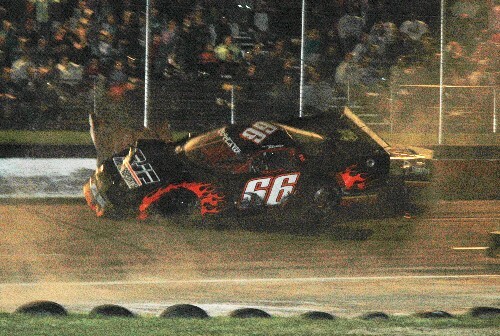 Its a good thing Championship Weekend at Unity Raceway ended the 2006 racing season, because Derek Ramstrom will not be driving for a while. 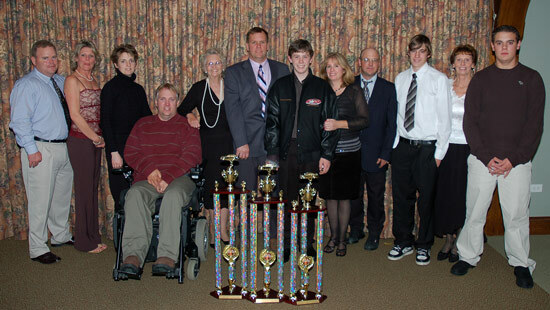 On Sunday, Derek broke his arm in what appeared at first glance to be just a minor first lap mishap. It was fortunate the steering wheel only got his forearm and not his wrist. The doctors prognosis is that Dereks arm should heal up fine. 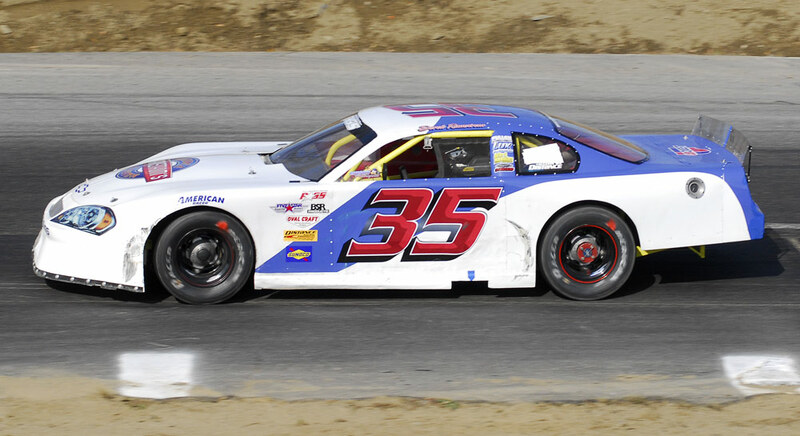 Unfortunately, the lap one injury cut short his debut in Ramstrom Racing's white #35 big motor Super Late Model, which was formerly owned by Steve Perry of SP2 Motorsports. Saturday started with a great run in the heat race, as Derek took the the Ramstrom Racing West Boylston Auto Parts #35 from 5th to 2nd. The up-front heat finish led to starting the feature from the 5th spot. 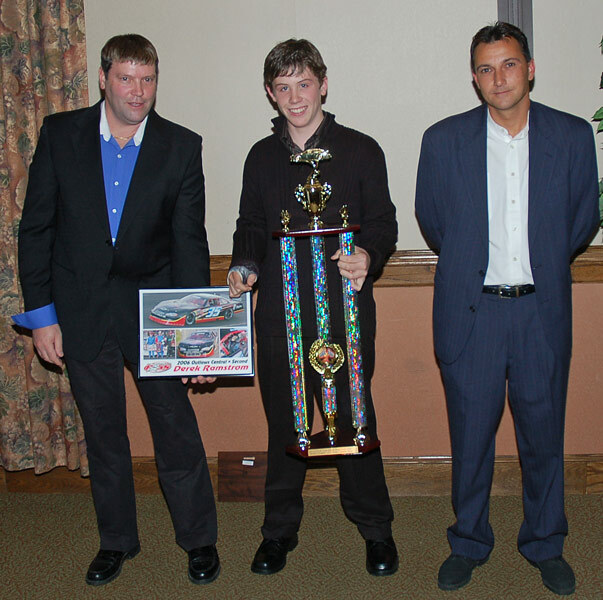 As Derek took the green flag for the 100-lap feature, he held second place in PASS Outlaw driver points in both the Central and North divisions, and was within striking distance of both leads. First place in the Central division was held by #55 Jimmy Renfrew, and #00 Matt Lee had first in the North. Therefore, it was no surprise that the show contained some hard racing between the Ramstrom Racing #35 and the #55 and #00. At the point in the race when Dereks car came up upon Lees #00, Matt did all he reasonably could to keep the faster car behind him, but Derek drove the #35 hard into a corner, and came out the turn in front. 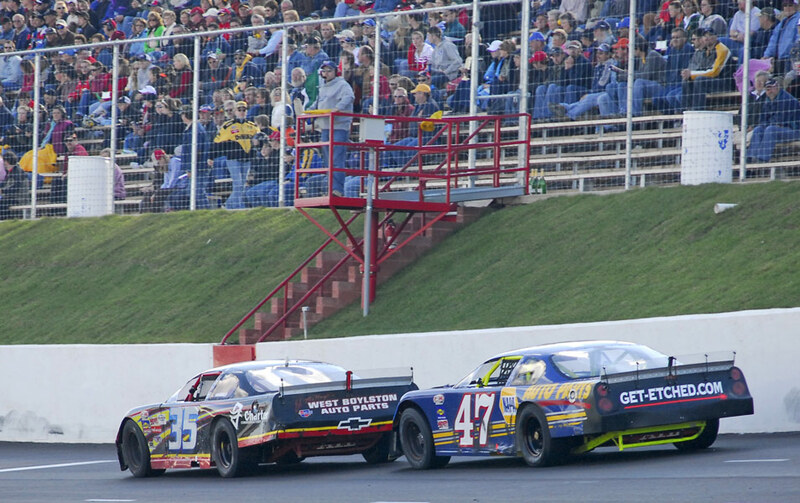 The later confrontation between the #35 and #55 left neither in front. On lap 61, following several laps of close racing with Renfrew, contact initiated by the #55 sent Derek off the track and into the muddy berm. 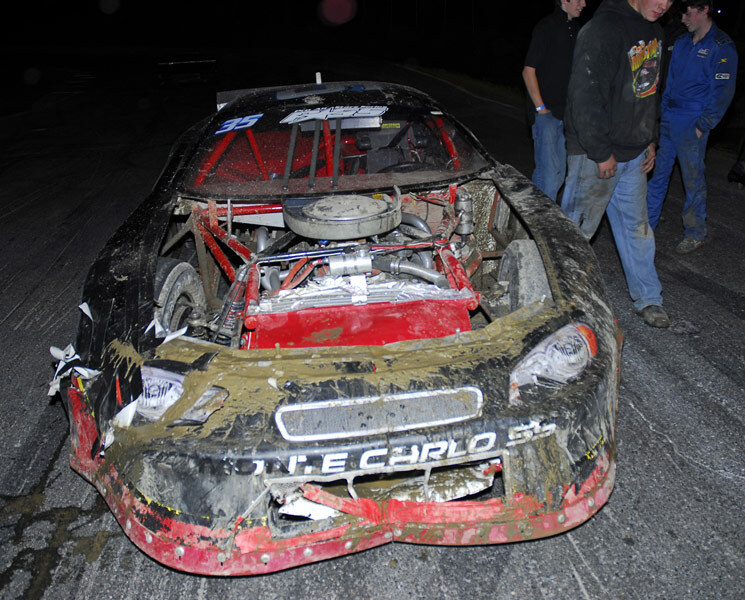 The damaged car was towed to the pits, patched, and returned to the race (the #55 did not return). Derek finished 13th. 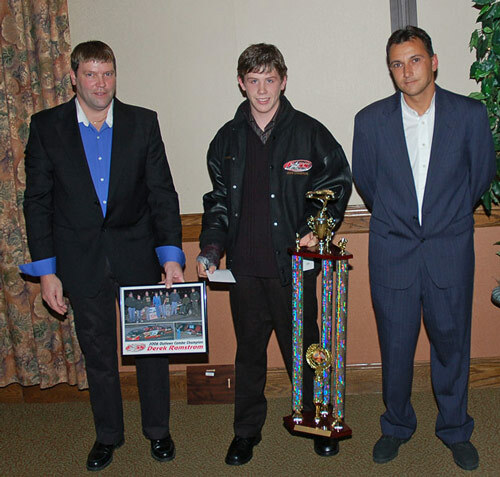 Derek came into weekend having clinched the PASS Outlaw Combined Driver Points Championship, and on November 3 this accomplishment will be recognized at the PASS Banquet. 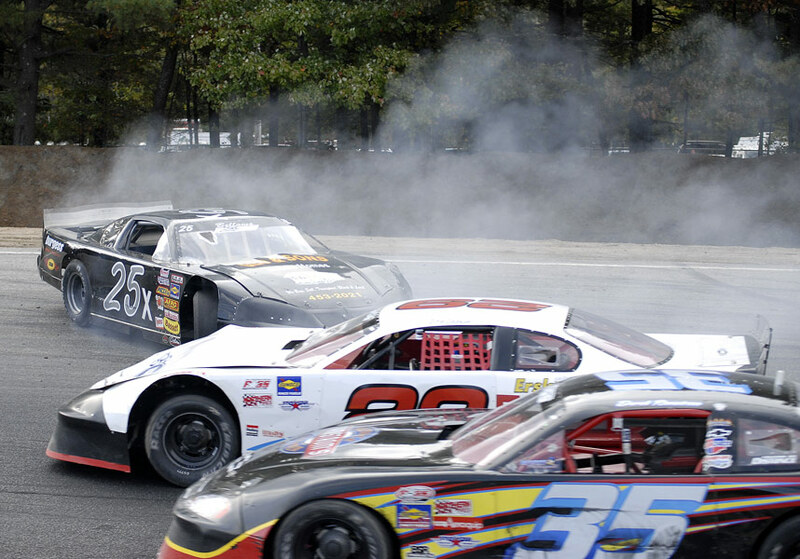 WEBMASTER / PHOTOGRAPHER on 10/21: Well it was eventful Outlaw race. A couple of thumps from other cars, a spin, a good hit sending the #35 into the dirt banking of turn one, pulled out by the wrecker, and a return to the track to get in a couple of more laps. Derek finished 13th in the Outlaw 100 at Unity to capture the Combo Overall Outlaw Late Model Championship for 2006.
it looks like Derek has also placed second in the Central and third in the North Outlaw Late Model divisions. Teenage sensation Derek Ramstrom locked up the overall Outlaw Late Model championship with his 13th place finish Saturday. The 15 year-old hotshoe from West Boylston, Massachusetts, looked impressive in the early going, running inside the top five until just after halfway. He got caught up in an altercation on lap 61 and suffered damage to his No. 35 machine. 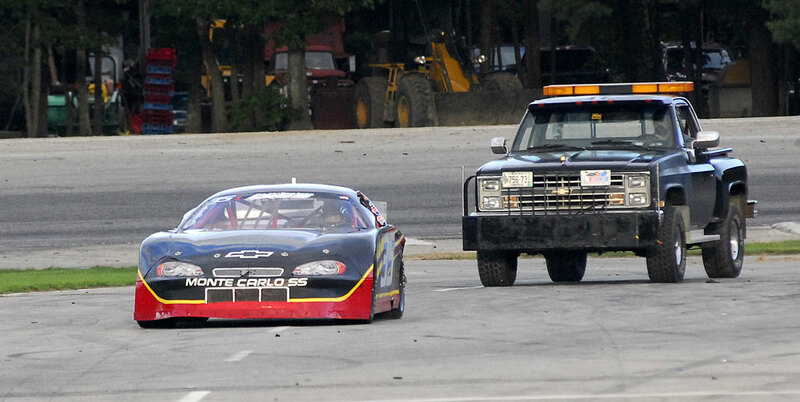 After pitting for repairs, he returned to the speedway and was running at the finish. 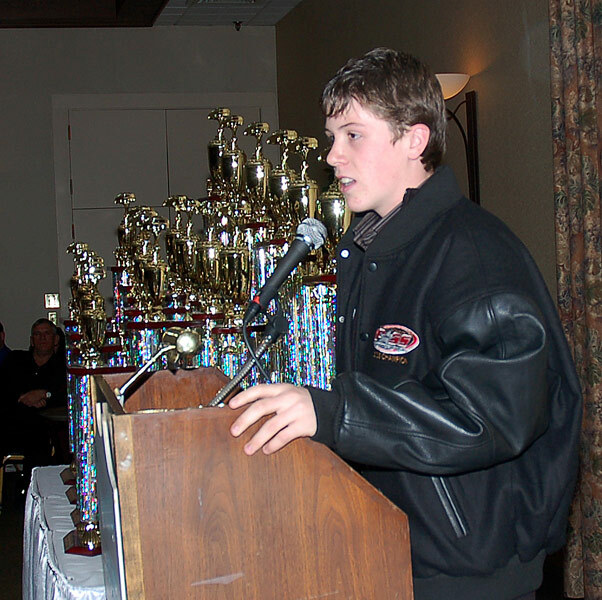 "What a great season it has been for us," said a humble Ramstrom. "My Dad, this whole team, the sponsors Charter Communications and W. Boylston Auto Parts, everybody has just kept a great car under me all season and that's what it takes. We got into a little trouble here today, but overall we've been lucky. I'm happy with this much success in my first season of driving full-bodied race cars. It's been a blast." (Antigonish, Nova Scotia - October 15, 2006) During the long ride to Canada the Ramstrom Racing team trailer was halted by three separate flat tires. An optimist would hope that all the weekends bad luck would have been used up by the time the trailer was parked in Riversides pit area. 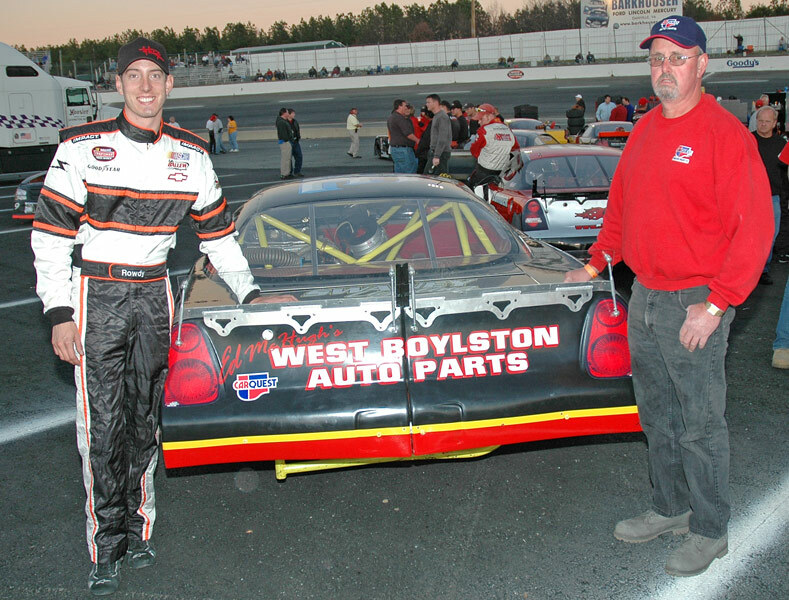 And that proved to be the case, as Derek Ramstrom drove the black West Boylston Auto Parts #35 Monte Carlo to a 13th place finish the PASS Fall Foliage 250 at Riverside Speedway. The Ramstrom Racing team had the only crate-engine powered car vying for a starting position against teams using much more powerful (and expensive) engines. On a low banked track, the lower horsepower of a crate is not as big a handicap as it might seem. The higher powered cars cant use all their power all the time. 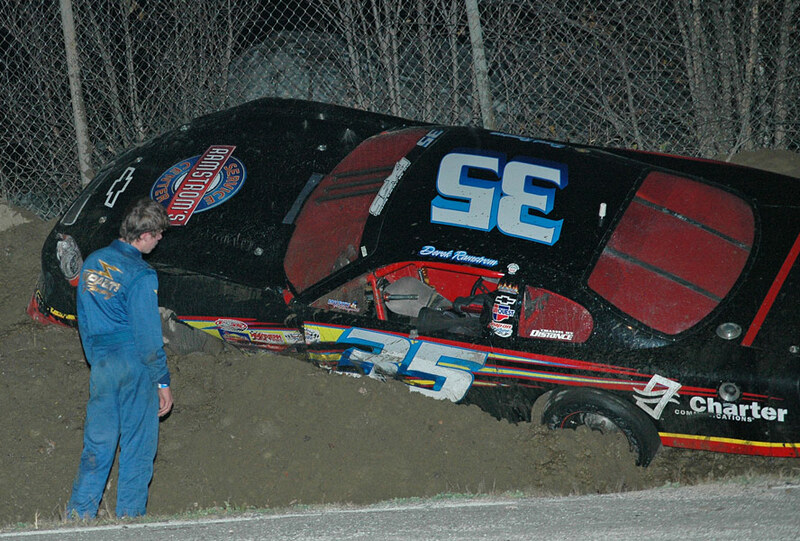 However, on the steep banks of Riverside Speedway, the Ramstrom Racing #35 would be at a significant disadvantage. But despite the horsepower deficit , Derek gave it his best shot. Although a carburetor problem kept Derek at the tail of his heat race, he still made the field, starting in the 26th spot. Throughout the race, with one exception, Derek stayed out of trouble, driving around or through mishaps as he moved up through the field. 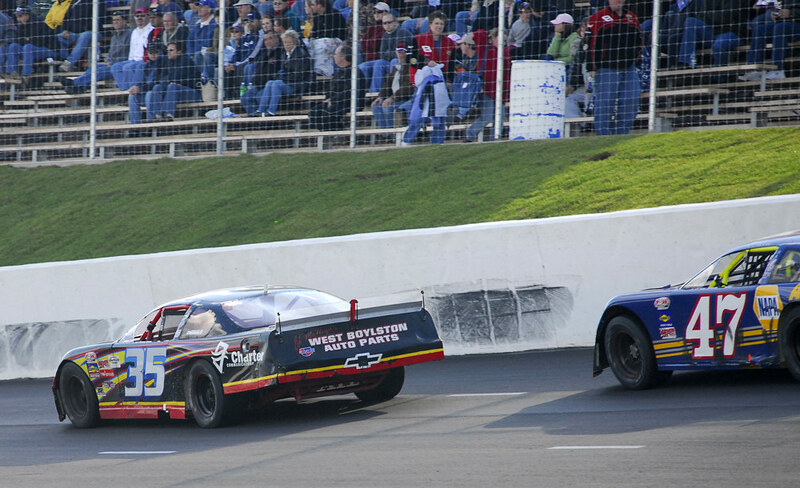 Unfortunately, Derek got trapped as he slowed for one wreck, and the car went a lap down. 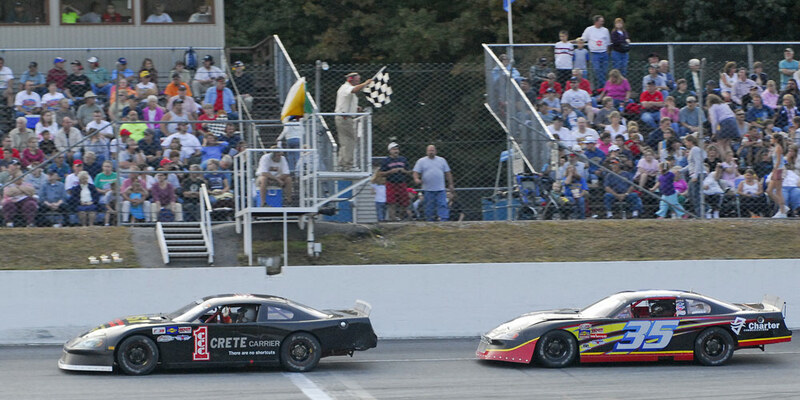 The car got faster late in the race, and was the 5th car to take the checkered, in a well driven 13th place run. After 250 green flag laps the car was tied down in the hauler with only some rubbing-is-racing damage to the body. Ramstrom Racing has added a second car. The new car will debut at Unity Racway this Sunday October 23 in the Super Late Model 150. 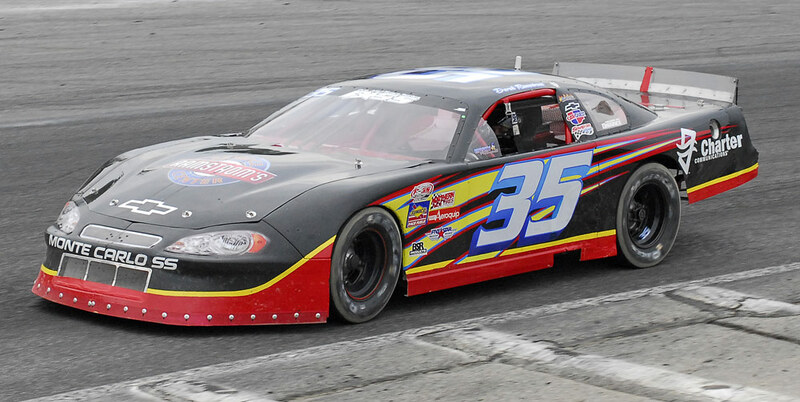 The familiar #35 Outlaw Late Model will race on Saturday at the same track, with Derek hoping for a top place finish and possibly winning the Outlaw driver points championship. 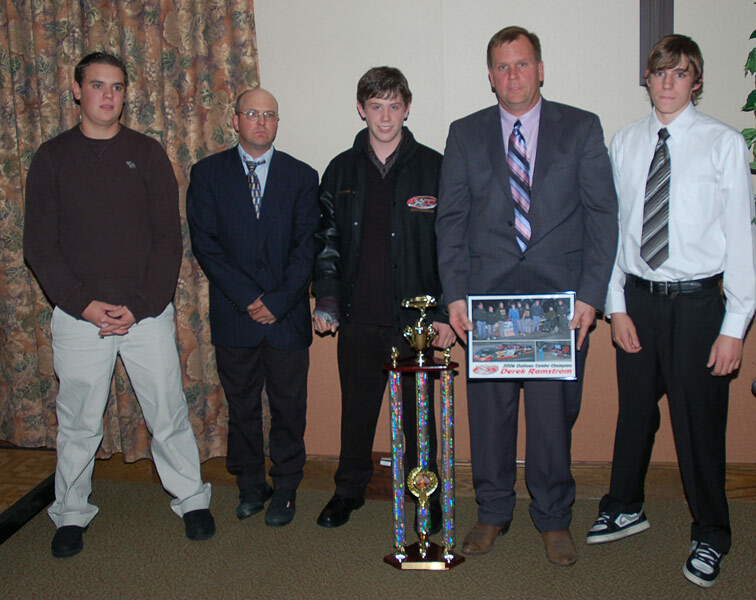 (Epping, NH - October 7) As any racer knows - late in the season its all about points, and Derek Ramstroms 5th place finish this past weekend at Star Speedway placed him in contention for three PASS points championships. PASS Outlaw Late Model Overall - 1st - with a margin of almost 150 points - which is almost insurmountable with only Unity on the 21st remaining. Derek also stands 16th in the PASS Super Late Models. 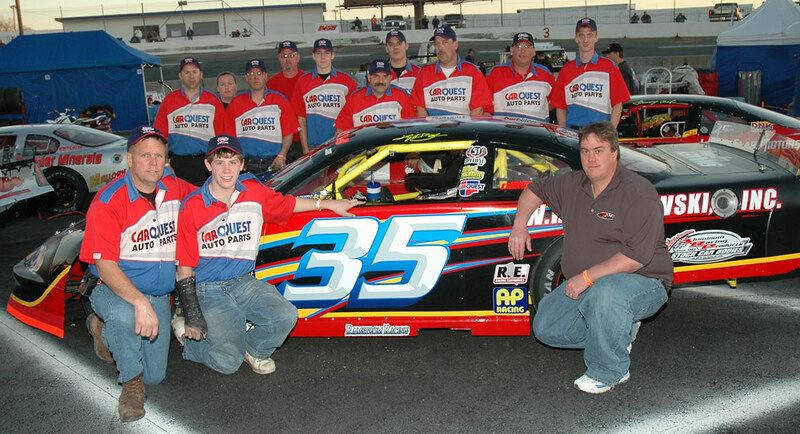 For the last three qualifying races, including the qualifier at Star, the Ramstrom Racing West Boylston Auto Parts #35 has had the dubious privilege of drawing the last starting position. With the low lap count of qualifying heat races (even if youre lucky enough to have a fast car) it is difficult to move past enough cars to make the cut and get into the feature race. Nonetheless, despite the handicap of starting last, Derek was able to move up to 6th gaining a spot in the features starting grid. 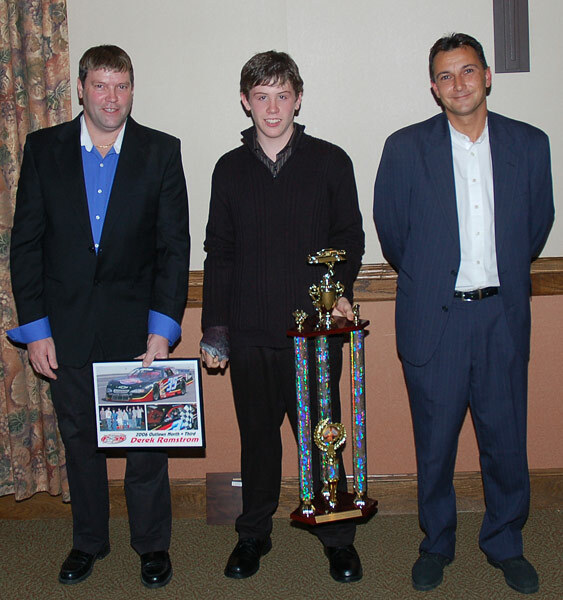 If there was an trophy for passing the most cars for position, then Derek assuredly would have claimed it following the 100-lap feature race. The black #35 Monte Carlo took the green from the middle of the field of 25 cars, and he had moved up to 10th place before a mid-race mishap broke his momentum. A spin brought out the yellow flag, which caused Derek to back off the throttle. Unfortunately, the car behind the #35 stayed on the gas a little longer, getting into the rear of Dereks car, sending him around. Derek made the restart from the tail, but not before trying to reclaim his spot and then being sent to the back. 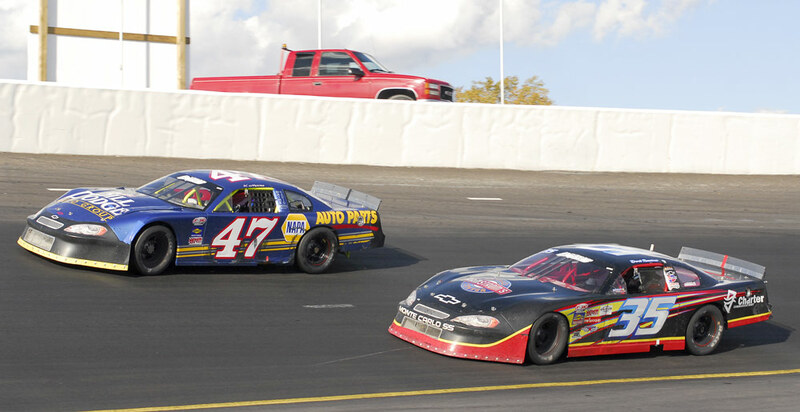 In the remaining laps, Derek passed a whole lot of cars on his way to a respectable 5th place finish. & Charlie Colby #2, third place. With a lot of hard work by the team, and some much appreciated help from members of other PASS teams, Derek finished 2nd in the 100-lap PASS Outlaw Late Model and 14th in the PASS North Series Super Late Model (Big PASS) 300. 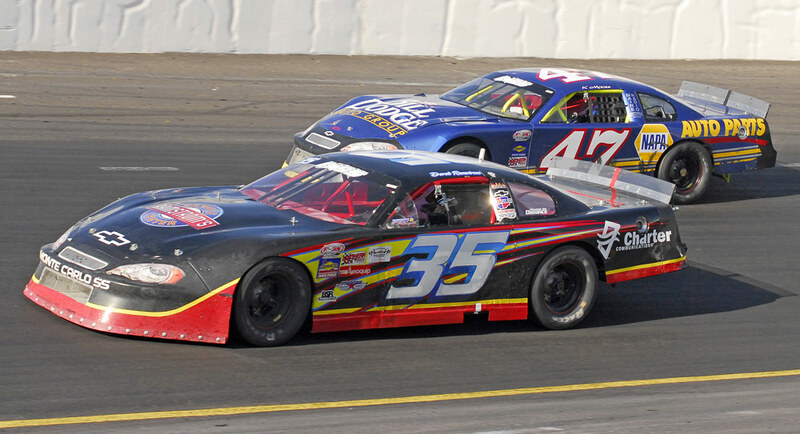 As the Ramstrom Racing #35 did not make the field for either the Outlaw Late Model 100 or the Big PASS 300 in the previous weeks qualifiers, the team had the added responsibility of sealing a position in each of the races starting grids. With a 1st place finish in a consi for the 100 and by placing 2nd in the last chance for the 300, Derek earned his place in the two features. For the Outlaw 100 the Ramstrom Racing #35 took the green flag 21st in the field of 29 cars. With 1/3 of the laps gone, and after having moved the #35 up several spots, the car in front of Derek turned sideways in the middle of turns 1 and 2. This slowing car causing Derek tap the brakes and a nudge from behind sent him down into the rumble strips. The field went by and Derek started at the tail. However, by the time the flagman was showing the crossed flags, Derek had moved up into 8th place. A couple of laps later two-cars spun in the front of the field, and Derek quickly picked up two more spots. When the restart came with 47 laps to go, the #35 was in 6th spot. In the laps that followed, Derek patiently picked off cars until he was in 2nd on lap 95. The chase for the lead spot ended only when Derek ran out of laps. 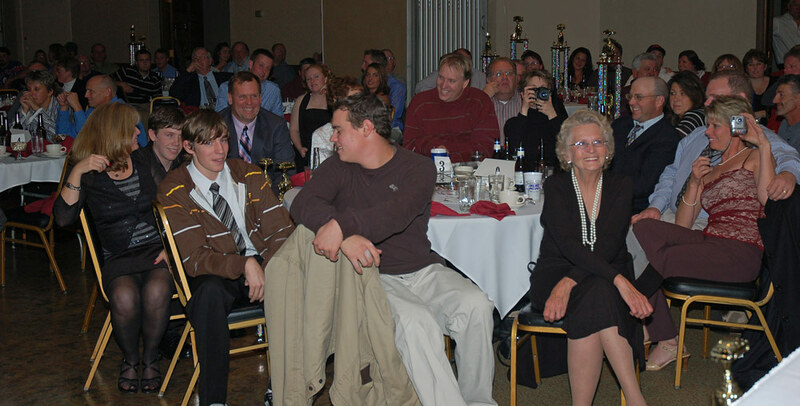 In the PASS North Series Super Late Model 300, Derek would be racing with a group of 31 other competitive, experienced, and older drivers. Not surprisingly, just staying out of trouble and hoping to be there at the end would be the teams race strategy, and there was much opportunity to get in trouble. Several good teams were taken out in a lap 11 mix-up. Just after the following restart, a multi-car spin blocked the track, and Derek took the car out into the dirt to get past. In the end, it was a good day Derek, as he ran 300 smart, clean laps of racing, finishing 14th. The weather has once again played around with Ramstrom Racing's PASS event plans. Rain totally washed out Saturday the 23rd, so qualifying heats were moved to Sunday the 24th. The heats for all divisions were just barely completed when the rain came again. So now the concis and Last Chance race have been scheduled for 6 PM Friday Sept. 29th and the features for Noon on Sunday Sept. 30th. With back of the pack draws in both heats, Derek certainly had his work cut out for him. In Heat #1 for the Outlaw Late Models, Derek made it up to 6th place, missed the transfer spot by one. But that puts Derek on the pole for Consi #1, and he should finish in the top 5 to move to the feature. In Heat #2 of the "Big PASS" Super Late Models, Derek (along with many other veteran drivers with big reputations) faced the challenge of passing at a track where two slower drivers running side by side easily trap faster cars behind them. The flow of the cars over the 20 lap heat left little chance for advancement, and Derek wound up stuck at the back in 12th. 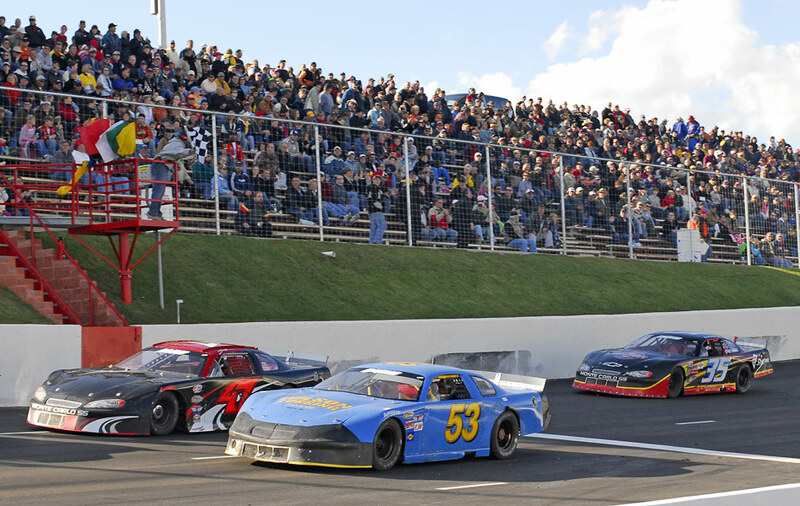 A consi and a Last Chance race remain for making the "Big PASS" feature. And a provisional starting spot is also a possibility, depending up how other PASS licensed drivers higher up in the points standing fare in their consis. 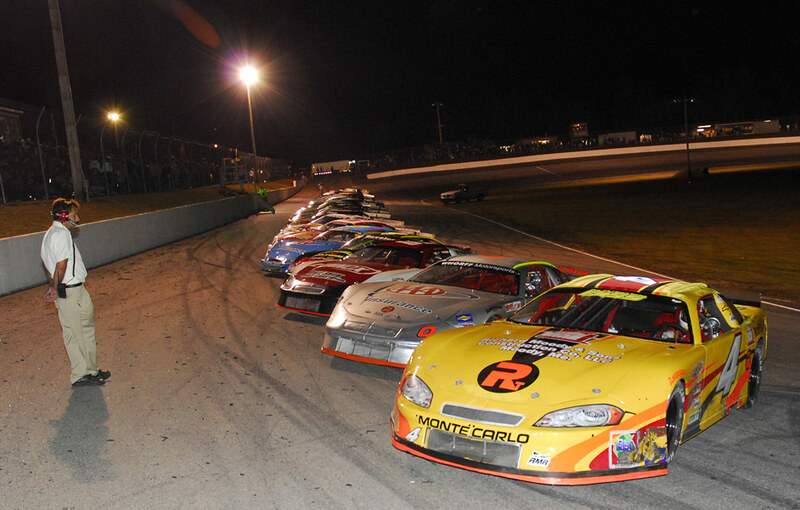 100 laps in the Outlaws and 300 laps in the SLM will certainly be a workout. (September 16, 2006 - North Woodstock, NH) This past weekends beautiful weather brought a full house of race fans to the high banks of White Mountain Motorsports Park. Where they saw the Ramstrom Racing Charter Communications #35 run with the best of PASS North. Unbelievably, for over 100 laps Derek Ramstrom followed PASS North points leader #54 Johnny Clark as he made his way through the field! As the team had raced at White Mountain before, the days practice session went smooth. There were more teams in the pits than there were starting positions, so qualifying was not guaranteed. Derek started 9th in a field of 10 for his heat race. By the time the checkered was out, he had moved his car up into a qualifying spot with a position to spare. 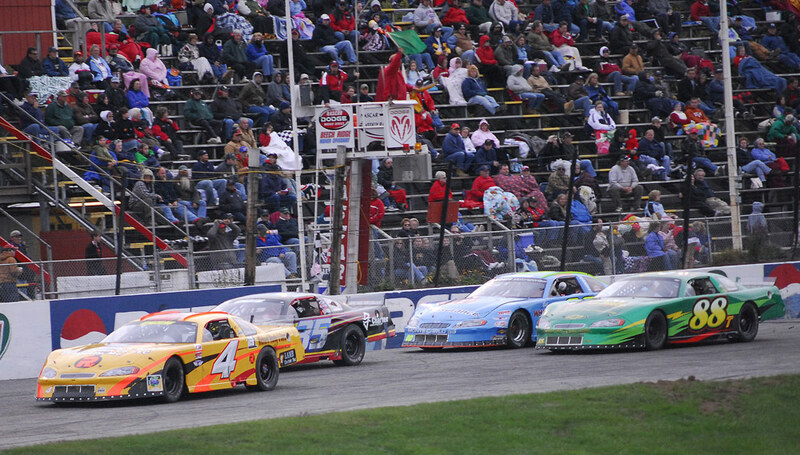 The Ramstrom Racing West Boylston Auto Parts #35 started the 150-lap feature in the 14th spot. In front of the #35 in the 12th starting position was Johnny Clarks #54. Spotter Rick Ramstrom told Derek to follow Johnny, and he did. The first 118 laps went off without a caution, and during this time Derek moved up to 8th with Johnny Clark in front at 7th. The Ramstrom Racing Monte Carlos driver made a strong bid to pass the #54, resulting in several laps of side-by-side racing, but experience won out over youth, and Derek fell in behind Clark. 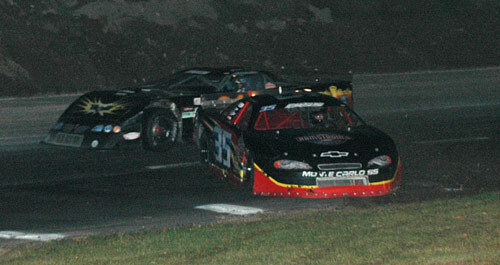 Following a restart, while in tight traffic, the #35 and another car touched. The long slide sideways that followed was almost saved from going around by Derek. However, the car just went around, was hit by a trailing car, flattening a rear tire. The spin left the #35 a lap down. The race results showed Derek Ramstrom in 14th place. This weekend the team will be competing in two races at Beech Ridge, both the Outlaw Late Models 100 and the full PASS North 300. 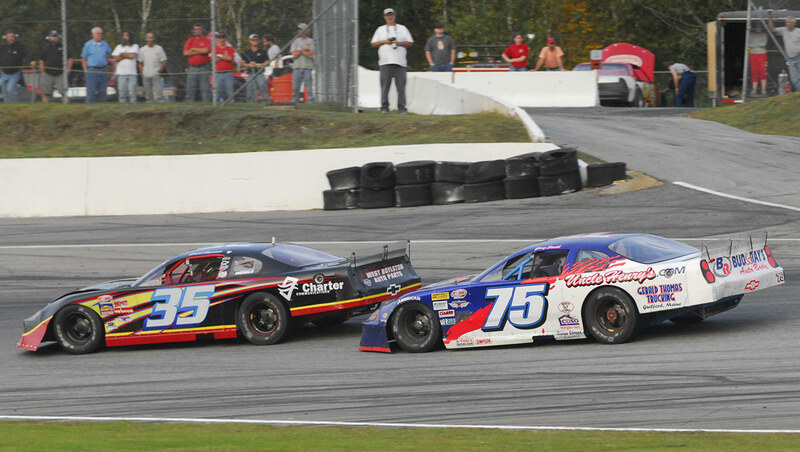 (Scarborough, ME - September 10) Twice this season the Ramstrom Racing Charter Communications #35 team has raced with the PASS Super Late Model North cars. 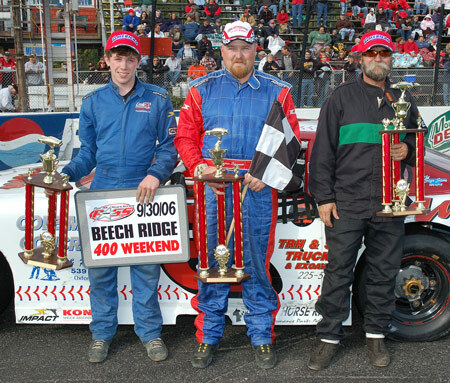 The first race was in July at White Mountain Motorsports Park, and the second was this past Sunday in the 150-lap race at Beech Ridge Motor Speedway. These two races had much in common, including that the race results did not tell the story. 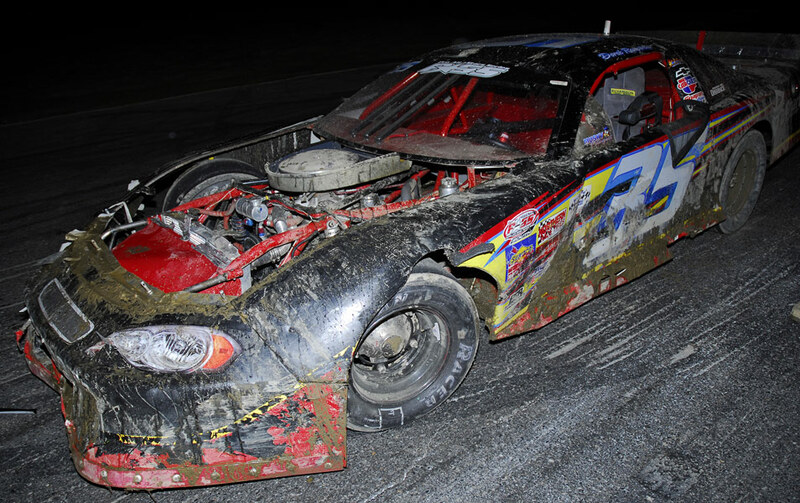 At White Mountain and at Beech Ridge, Derek Ramstrom was able to move his car up through the field, and run with the lead pack of cars, but in both races late spins (for differing reasons) resulted in a middling finish. The team needed all three of Saturday afternoons practices to get the car race ready. Following the first two practice sessions, Derek Ramstrom came into the pits saying the cars not right, it cant run with the other cars on the track. For the final practice, Crew Chief Jeff Ratoff made major changes to the #35 Monte Carlos set-up. The changes proved to be right, and Derek bought the car in several laps early stating it was getting around the track great. The remainder of the afternoon leading up to the heat race was used to confirm ride heights and weight distribution. 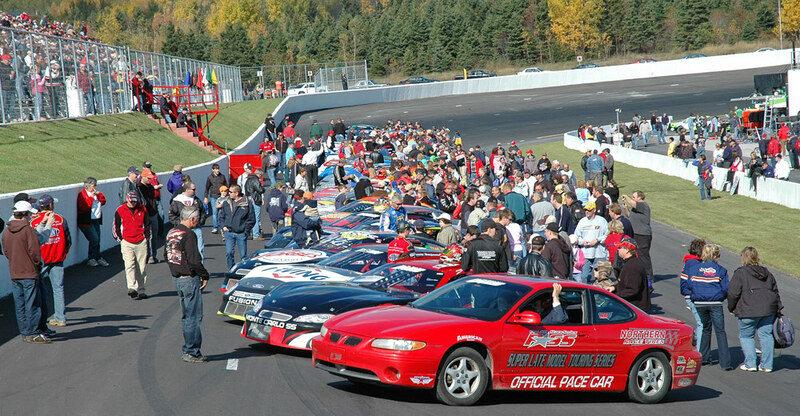 Forty-five teams showed up to qualify for the thirty-two starting positions. The evenings heat races had a ten car field, with the top five finishers qualifying. The Ramstrom Racing West Boylston Auto Parts #35 started 6th in its heat, insuring there would be no coasting into a qualifying spot. By quickly passing two cars early in the heat, Derek earned the #35 a 4th place finish. Thankfully, by qualifying in his heat race, Derek was able to avoid the always unpredictable consolation race. The Ramstrom Racing #35 took the green flag from 15th. The first half of the race featured long sessions of green flag racing. This resulted in a lot of lap traffic. During this time, methodically and patiently, Derek moved his race car up into the 6th position. By the showing of the crossed-flags, the #35 was purring along looking at and hoping for a strong finish. But it was not to be. As Derek went into a turn, he and another driver tried for the same piece of real estate, and both cars spun. The spin should have just put the car at the tail of the lead lap, however, the motor would not refire. While waiting for a push-start, the leaders went by twice. Running two laps down, the remainder of the race was uneventful, and the car finished 15th. Anyone who follows racing knows -- luck is what moves a race car through the field fastest. 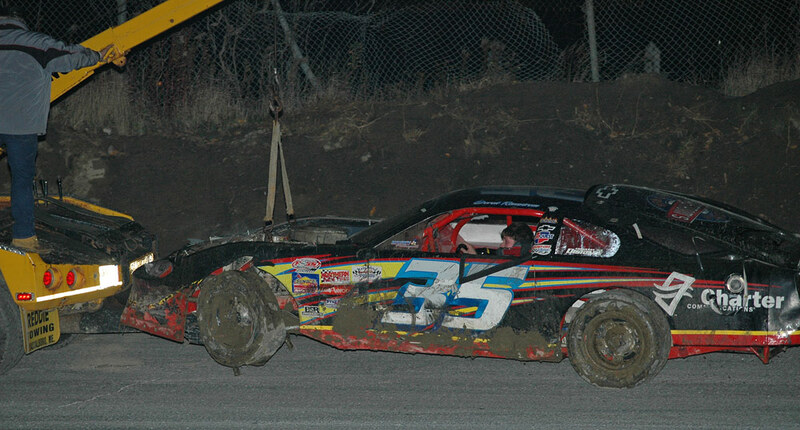 Last Saturday night at Canaan it was the bad kind that took the Ramstom Racing West Boylston Auto Parts #35 Monte Carlo from knocking on third place to several laps down. With cool track temperatures, and as the weather gods held back the rain, the team took part in the afternoon practice sessions. 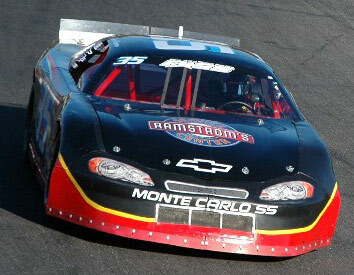 By the end of practice, Derek Ramstrom was satisfied with the car's handling. In fact, the transponder data from practice showed the #35 to have the quickest Outlaw lap time. 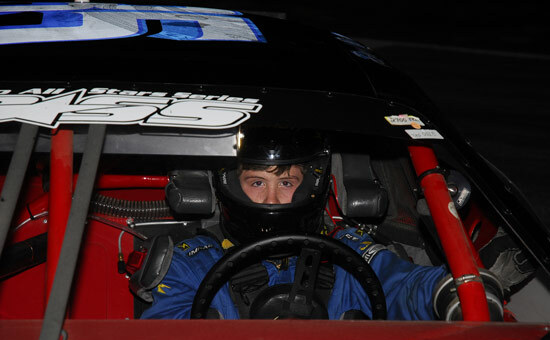 Derek's 12-lap heat race was uneventful, with the car starting and finishing in the middle of the field. The #35 took the green flag for the 100-lap PASS Outlaw Late Model feature from 11th, and in the early stages of the race Derek moved the car up to 6th. However, the next move up in position came only with a lot more work. A couple of back-to-back restarts had Derek on the outside in 6th, making it difficult to pass the 5th place car, and then to find enough space to drop down into the inside groove. After many laps, and several attempts to make the pass, the move into 5th was completed. Then a lead car fell off the pace, placing Derek in fourth. Midway through the race misfortune in the form of cut right side tires, which only became apparent during a restart, sent the Ramstrom Racing #35 to the pits. Following the drop of the green flag, just as the car was heading into turn four, the right front tire came off the rim. Derek did a great job of at once getting his ride out of the way of the rest of the oncoming cars, and keeping the car off of the front wall. With his spotter Rick Ramstrom's help, Derek kept the car moving, and did not needlessly bring out the gold. However, a caution would have permitted the crew to change rubber without the loss of any laps. Perhaps, self-interest should have been in order here? The car returned to the race finishing in 16th. 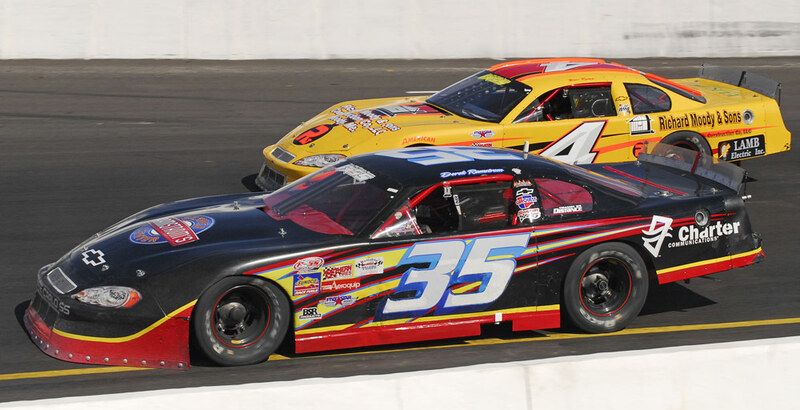 This coming weekend the Ramstrom Racing Charter Communications #35 is planning a double-header. On Saturday, the team will participate in the 100-lap PASS Outlaw race at Unity, and on Sunday, Derek will face a run with the top drivers in the 150-lap Big PASS race at Beechridge. Once again two weekend's rain cancellations of the PASS North event at Beech Ridge have kept the Ramstrom Racing #35 in its hauler. (Canaan, NH - August 12) Through much hard work by the Ramstrom Racing Team, the #35 was ready for the 40-lap Canaan weekly race. 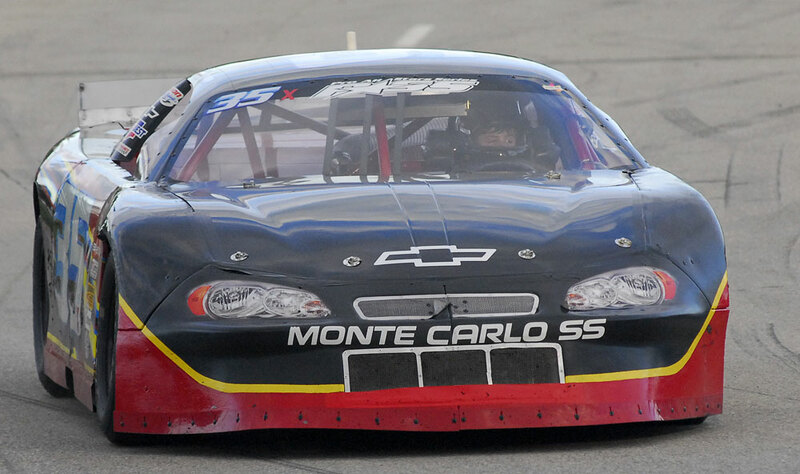 Sporting new suspension parts and new body panels, the Ramstrom Racing Charter Communications Monte Carlo was brought back from Maine late Friday night. The crew worked on the car until time ran out on Saturday afternoon, when the car had to be loaded up and hauled to New Hampshire. The car handled well in practice, and few adjustments were needed. In the heat race Derek Ramstrom moved the car from fifth to second. Derek took the green flag for the feature from the fifth position, and he quickly move the car up to second. However, a pass for the lead, if it could be made, would not be easy. The driver of the lead car, #26 Chris Curtis, did everything he could to keep the lead. Following a restart with the #35 on the outside, Derek and Chris Curtis gave the crowd in the stands a show with many laps of side-by-side racing. Late in the race, in a all or nothing attempt to make a pass on the less grippy outside groove, Derek drove his car hard into a turn. The car got loose, turned sideways, but Derek recovered finishing in fourth place. The car missed getting third by a nose. 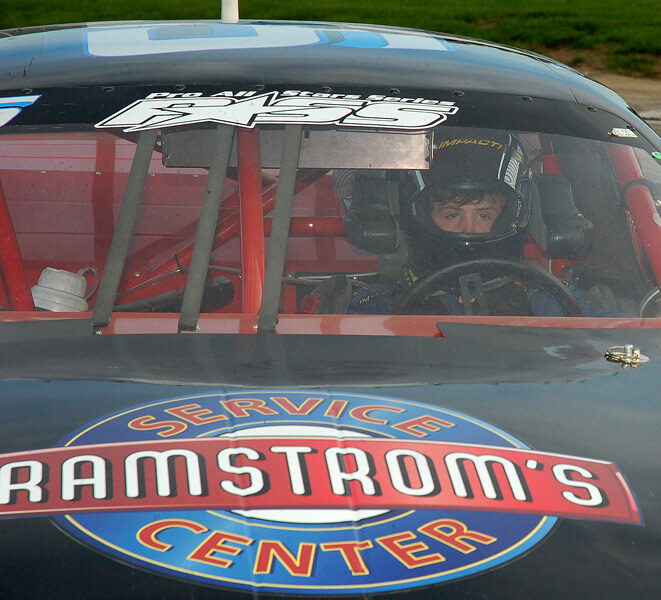 This coming weekend the Ramstrom Racing West Boylston Auto Parts team plans on competing at the Beech Ridge track in the 150-lap Big PASS race. There will be a lot of good teams vying for a spot in the feature, and just making the starting field will be challenging. The car under the #66 is the #35. Not a good night. 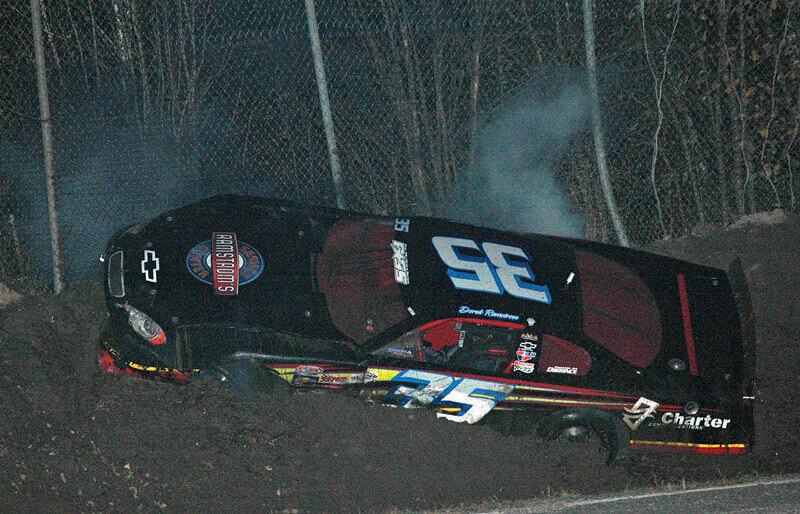 1) The #35s driver Derek Ramstrom is OK.
2) The #35 Ramstrom Racing Monte Carlo is not OK. 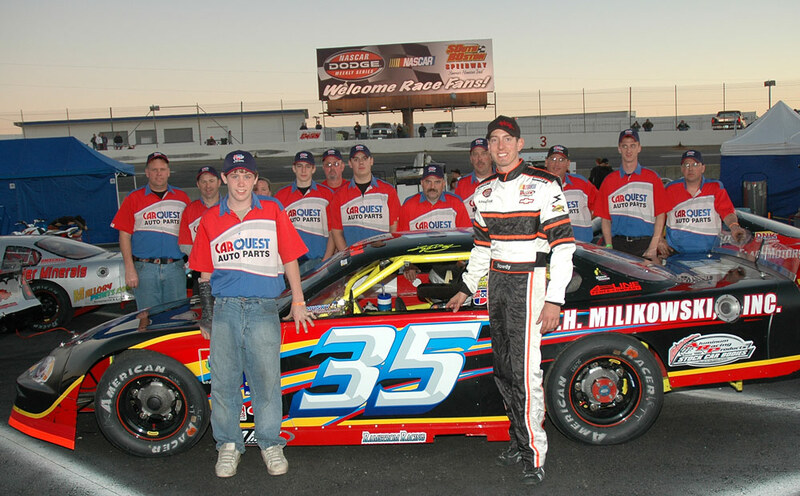 While Derek had raced at Riverside in his Allison Legacy car, this would be his, and the teams, first time there with a Late Model. So the Ramstrom Racing team headed north early on Friday to take full advantage of the days practice sessions. In search of the right set-up, wholesale changes were made to the car. Gear, stagger, sway bar, and spring were toyed with in the search for the best combination. Luckily, during practice a transmission problem came to light, and a replacement transmission was quickly installed with the oversight of Crew Chief Jeff Ratoff. The team ended the day with steak dinners, the Riverside Monster Truck show, and a good feeling for their chances on Saturday. The nice weather from Friday continued into Saturday, and so just a little tweaking was needed on the #35 Ramstrom Racing Charter Communications car. In the heat race, Derek started fifth. With the help of his spotter, Rick Ramstrom, Derek was able to move the car up for a second place finish. In the 100-lap Outlaw Late Model feature, within a respectable field of 24 cars, the #35 started from the 5th position. Although the race was to be 100 green flag laps, you wouldnt have thought it from the very visible lack of give-and-take right from the start. Not surprisingly, this resulted in a lot of cautions, and a lot of damaged race cars. Fortunately, Derek was able to keep his car near the front, and therefore, stayed out of trouble for the first half of the race. A mid-race dump of the #35, for which the dumper was sent to the end of the field, put the car in the pits with superficial damage requiring body panel adjustments and a taped up nose. Following the visit to the pits, Derek took the car from the rear of the field up into second place. He was challenging the leader with 10 laps left, when a car that was many laps down made an ill-advised attempt to pass the Ramstrom Racing West Boylston Auto Parts #35. The lap car went to the inside, put two tires down in the dirt, and washed up into #35s rear quarter, turning Derek sideway in the path of the oncoming field. What followed was not pretty, and it included Mike Fowlers 66X going over the #35, but Derek quickly radioed his Dad that he was not hurt. Derek finished 12th. Following the race, the driver of the lap car involved in the mishap with Derek made the assuredly difficult walk over to the team to apologize for the outcome. Apology accepted. 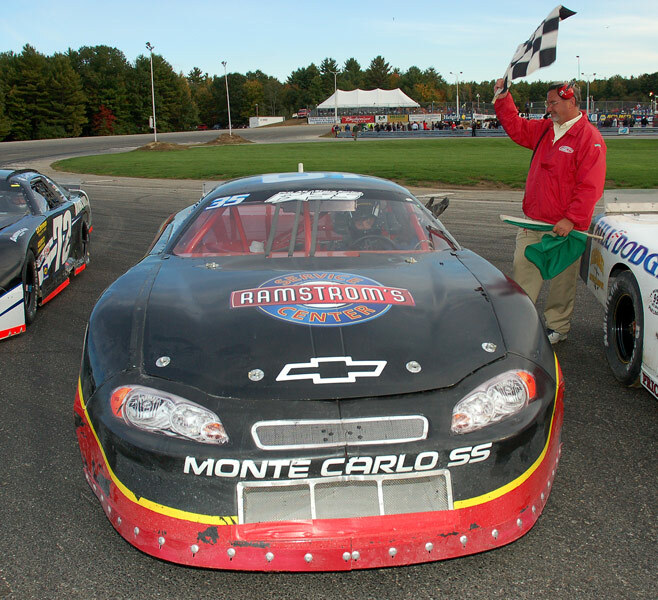 The #35 Ramstrom Racing Monte Carlo was left in Maine, where it will receive a new rear clip and all new body panels. 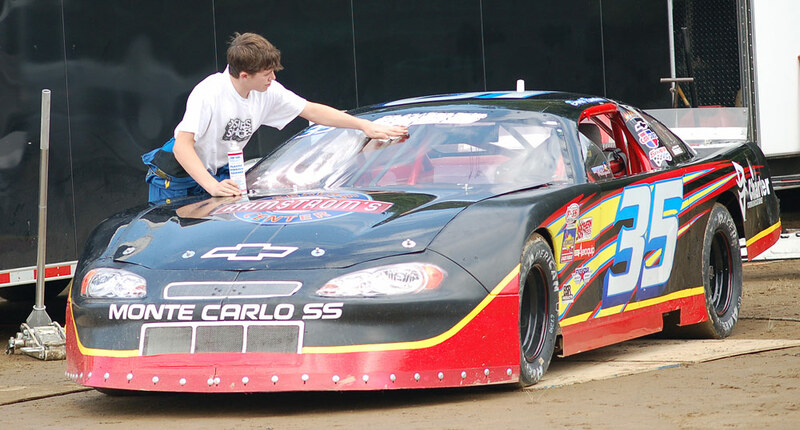 It is not known whether or not the car will be ready in time for this weeks race at Canaan. The previous two weekend's rain cancellations at Canaan have kept the Ramstrom Racing #35 in its hauler. Last weekend the team watched the radar, and waited until the last possible minute before leaving the garage for the track. However, the weather turned to rain, and most of the Canaan weekly show was cancelled. On Saturday August 5th, the team will be competing in the 100-lap PASS Outlaw Central event at Riverside.